Item # 312168 Stash Points: 1,295 (?) This is the number of points you get in The Zumiez Stash for purchasing this item. Stash points are redeemable for exclusive rewards only available to Zumiez Stash members. To redeem your points check out the rewards catalog on thestash.zumiez.com. 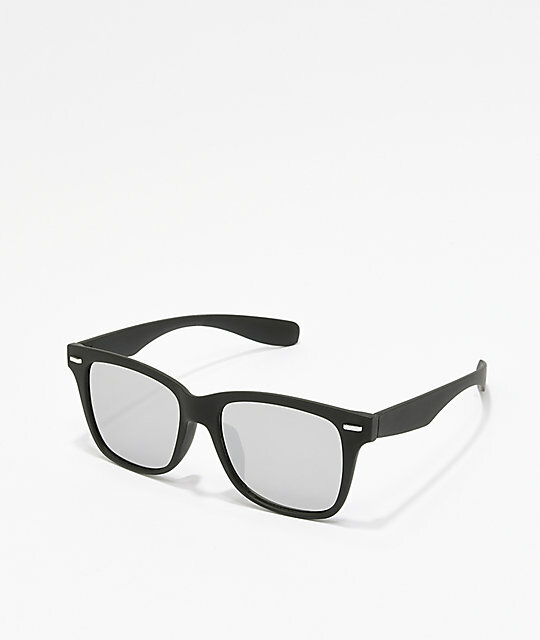 Reach for flashy, yet simplistic style this summer, with the Brody Black & Silver Wayfarer Sunglasses. Featuring a durable plastic, all black frame, these glasses are highlighted by reflective silver lenses and 100% UV protection for a striking and functional accessory you'll be wearing all summer long. 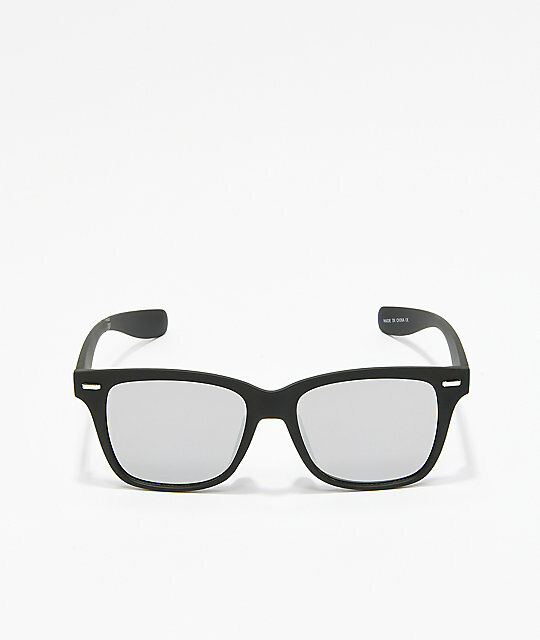 Brody Black & Silver Wayfarer Sunglasses. Durable, matte black plastic frame.